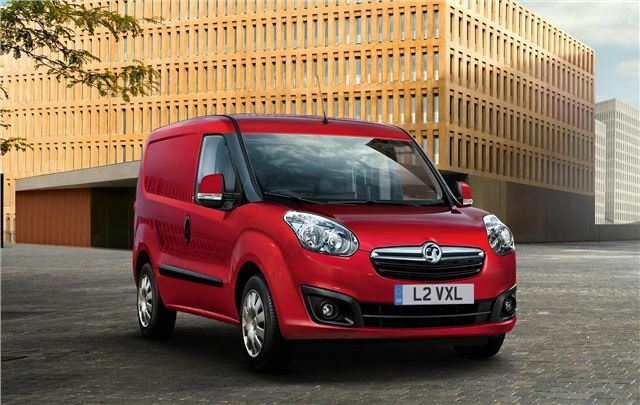 Vauxhall’s all new Combo panel van is available to order now, priced from £14,703 before VAT. First deliveries are expected in February 2012 It’ll be sold in a variety of configurations, with two wheelbase lengths, two heights, and two gross vehicle weights (GVW). It offers a best in class payload rating of up to 1000kg including driver, as well as the longest wheelbase and highest rear axle capacity in its sector. The exterior styling will be familiar to many drivers as it’s shared with the Fiat Doblo, which is built on the same platform. Lengths are 4.39 or 4.79m and heights are 1.85m or 2.10m, offering load volumes of between 3,400 litres and 4,200 litres. Max payload weight is either 750kg or 1000kg, with a maximum width of 1.71m and a maximum length of either 1.82m or 2.17m. Max GVW ratings are 2,000kg or 2,300kg. Four engines are offered, all of which are diesel. There’s a 1.3 CDTi and a 1.6 CDTi, both with 90PS, a 1.6 CDTi with 105PS and a range topping 2.0 CDTi with 135PS. The 1.6-litre engine is offered with Tecshift automated manual transmission, and besides the Techshift model, all engine are fitted with start/stop. The interior is designed to be robust, hard wearing and functional. The Dashboard is uncluttered and the ventilation outlets are large. There are some clever touches like a lockable glove box designed to hold a laptop. Two trim levels are offered, and all models come with remote central locking, full steel bulkhead, trip computer, electric power steering, CD player and 12-volt power socket. Higher spec Sportive models come with air conditioning, metallic paint, body-coloured bumpers and mirrors, sliding door, and a driver’s seat with lumbar support, height adjustment and armrest. There are also numerous optional extras including parking sensors, cruise control, climate control and hill hold assistance. There are also three options packs – the load compartment pack adds an overhead storage compartment in the cabin, PVC liner for the load space floor, a courtesy light and a rear power socket. The winter pack offers headlight washers, electric mirrors, fog lights and a temperature sensor, and the driver pack offers Bluetooth, USB/MP3 in and leather steering wheel with audio controls and leather gearknob. Full prices are detailed below.